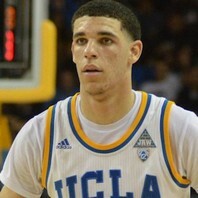 Point guard who was selected second overall in the 2017 NBA Draft by the Los Angeles Lakers. He played one year of college basketball at UCLA. At Chino Hills High School, he was the 2016 Naismith Prep Player of the Year as well as the 2016 Morgan Wooten Player of the Year. How much is Lonzo Ball worth?